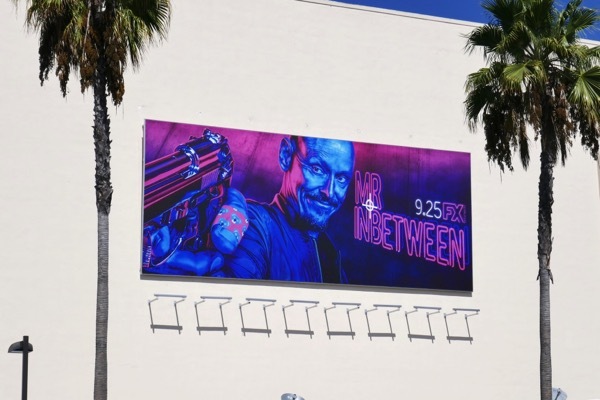 This TV season Mr Inbetween makes his deadly debut inspired by the 2005 Australian cult mockumentary film, The Magician. 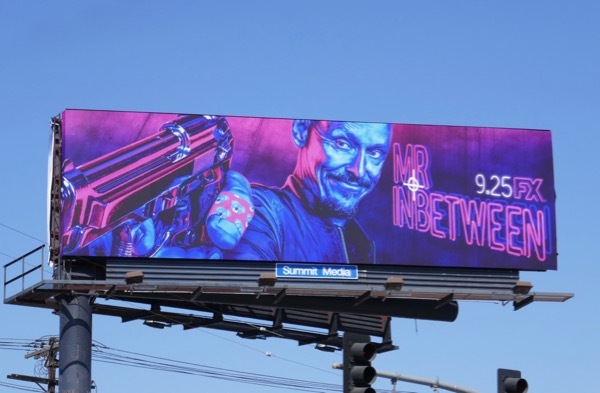 Scott Ryan reprises his role as hitman 'Ray Shoesmith' in the comedy-drama which sees the criminal-for-hire juggling his day job with also being a father, ex-husband, boyfriend and best friend. 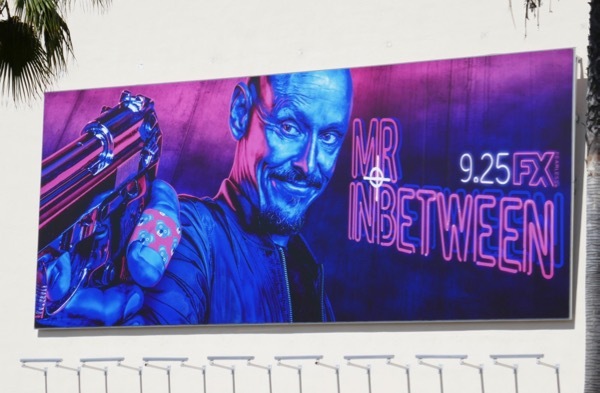 This vibrant neon billboard was snapped standing out above the intersection of Pico and Robertson Boulevards on September 7, 2018. 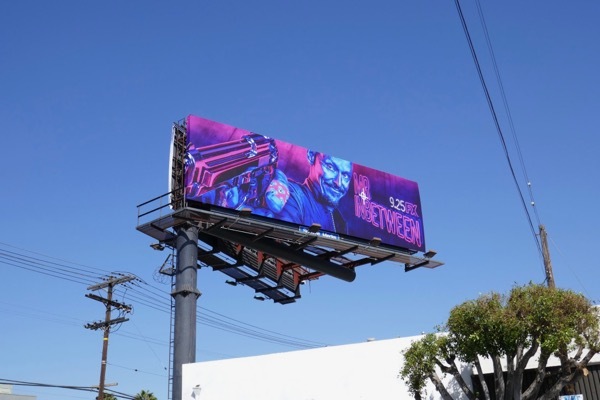 This staring down the barrel of a gun ad creative reminds Daily Billboard of the series launch billboard for Black Dynamite, plus for another hitman comedy be sure to also check out these Barry billboards. 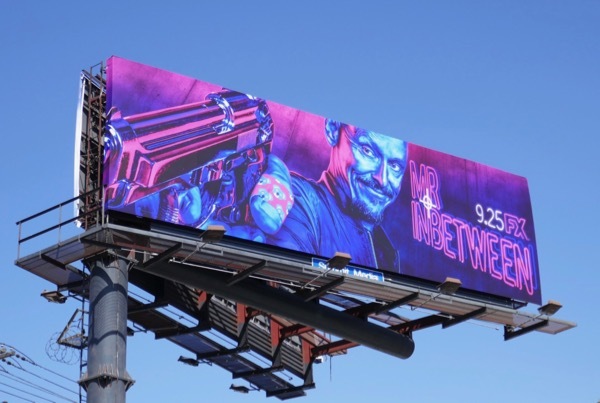 Let's just hope this Australian half hour assassin drama turns out to be killer funny. 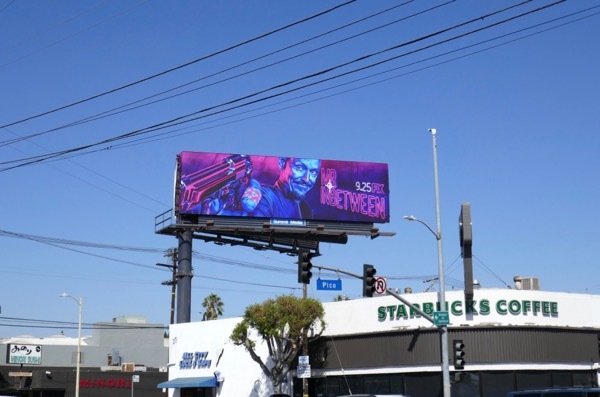 UPDATED: Here's another example of the billboard snapped at Fox Studios along Pico Boulevard on September 30, 2018.